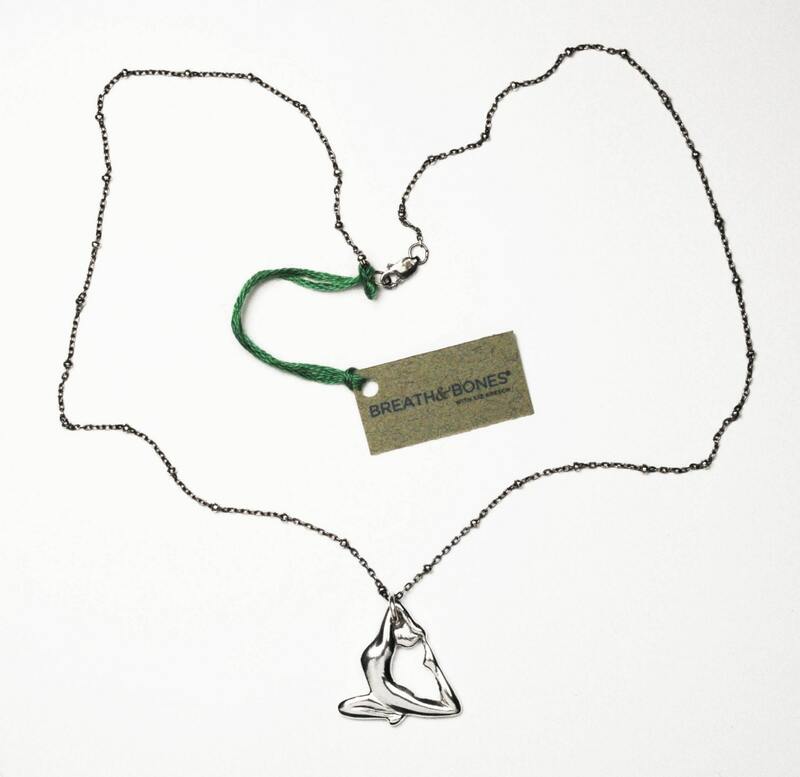 Cast in solid sterling silver, hand finished and hung on a sterling silver 18" beaded cable chain, this necklace is from a series of Eka Pada Rajakapotasana (King Pigeon Pose) Asana necklaces made in collaboration with and exclusively for Breath & Bones® with Liz Kresch. 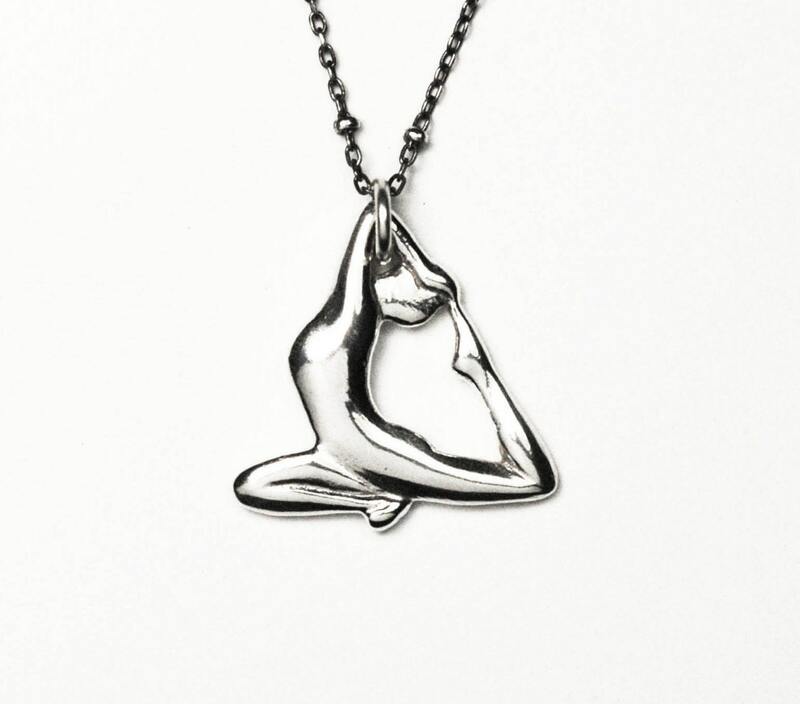 I sculpted the Eka Pada Rajakapotasana charm, originally in wax, from a picture of the beautiful and extremely gifted Liz Kresch herself in Eka Pada Rajakapotasana on her NYC studio's fire escape. 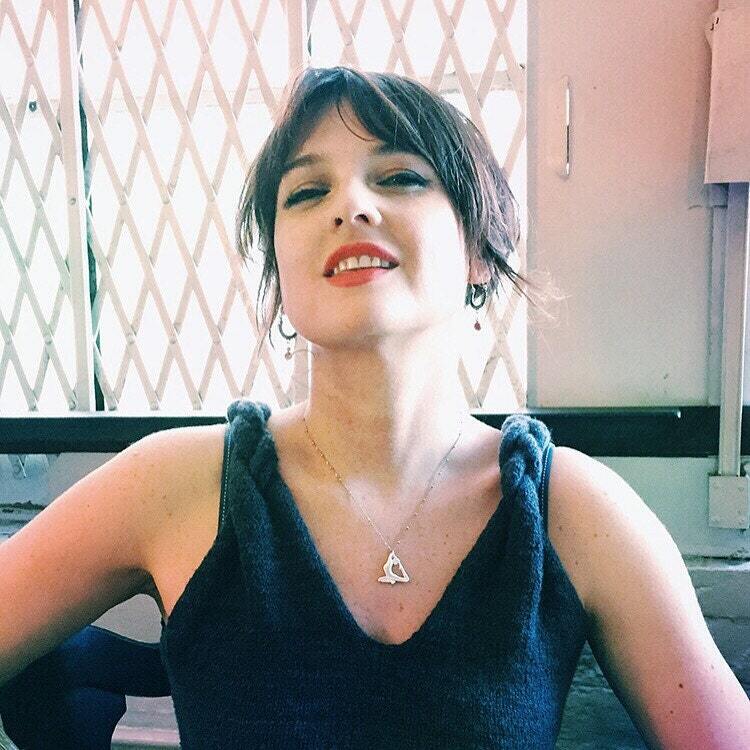 The King Pigeon Pose is Liz's logo and I love it so much! 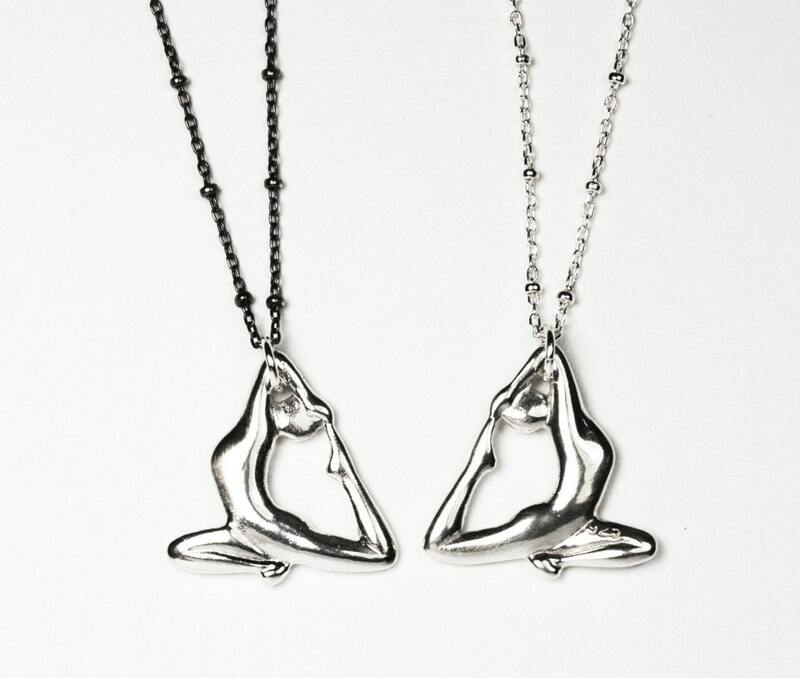 Just the aesthetic of the form, triangular and balanced, it seemed perfect to be sculpted into a charm. The relief is on both front and back of the charm and the approximate measurements are: 22.5 mm high x 22mm wide x 3mm depth at the thickest point. Available on oxidized silver chain or white silver chain. This listing is for one Asana Necklace.